The Hiflofiltro-Thai Yang Kitpaisan factory was founded in 1955 and has been manufacturing filters for the OEM motor industry since 1963. With the experience of more than four decades, constant research and development and modern production facilities they manufacture today some of the best quality filters in the world. To achieve and ensure the consistency of their high quality, they use only premium quality materials from well-known makers; steel from Toyota Tsusho and NKK Japan, Glue from Henkel Germany, paper from Ahlstrom Filtration Finland, Hollingsworth & Vose USA and Awa Paper Japan. With this high quality, the customer list is extensive and includes car makers such as BMW, Peugeot, Ford, Toyota, Mazda, Suzuki, Nissan and Denso. 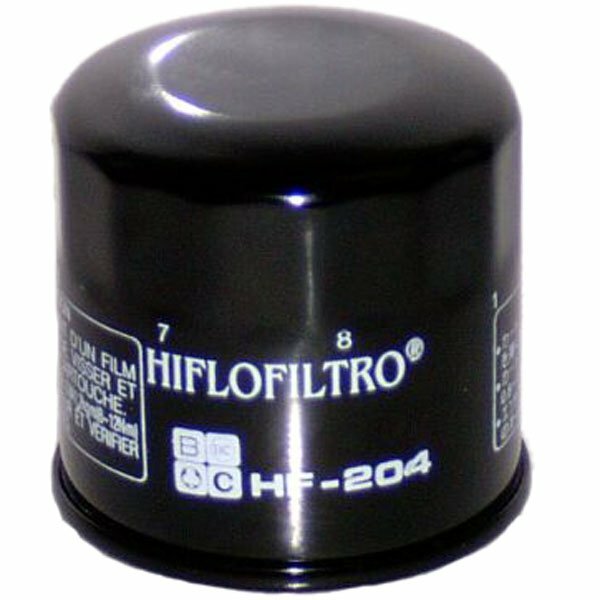 Hiflofiltro is the complete range of motorcycle filters engineered to extreme quality standards to provide ultimate engine protection. This is the correct filter. Does this filter fit an 02 triumph speed four? thanks. We cannot find any information regarding the 2002 model, but the 2003 to 2004 models use the HF191, and the 2005-2006 models use HF204. We would recommend checking with your local Triumph dealer before purchasing a filter just to make sure. Does this filter fit Triumph Tiger Sport 1050, 2015 and Triumph America 2010. We can confirm that this filter will fit both of your motorcycles. Does this filter come with a new o-ring? We can confirm that this will be supplied with a new O ring fitted to the filter. You will need the 65mm 14 flute oil filter wrench.